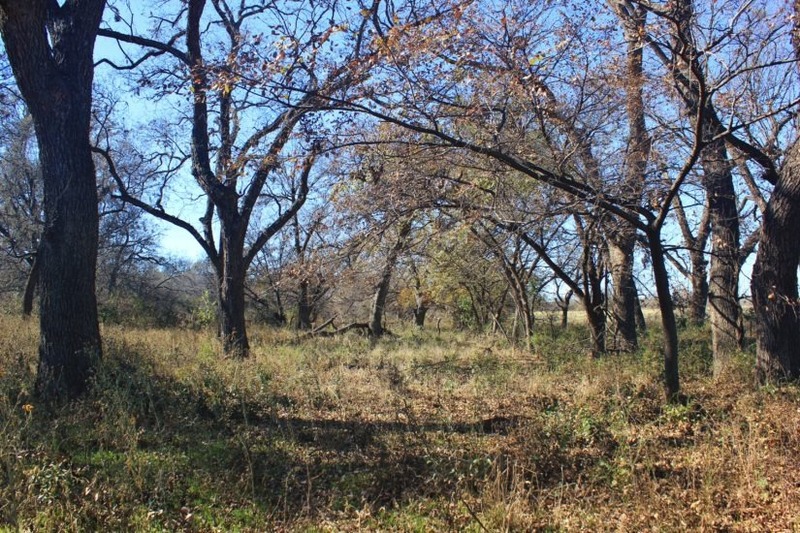 This 288.81 +/- acre ranch is located at the end of a county maintained road in northwest Clay County. 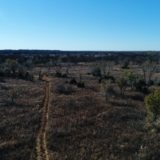 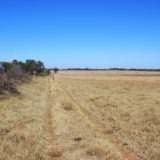 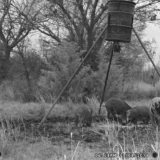 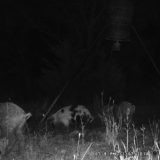 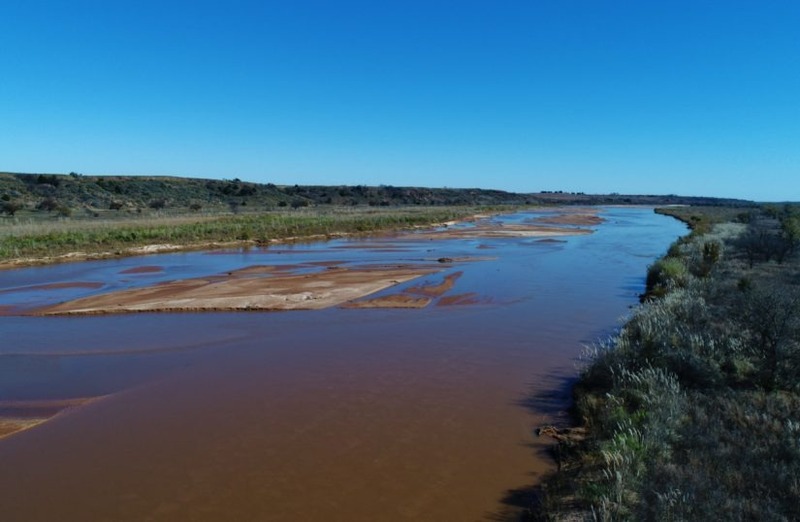 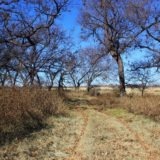 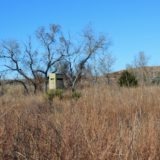 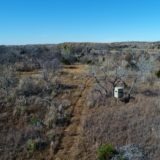 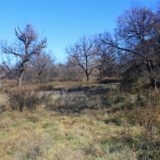 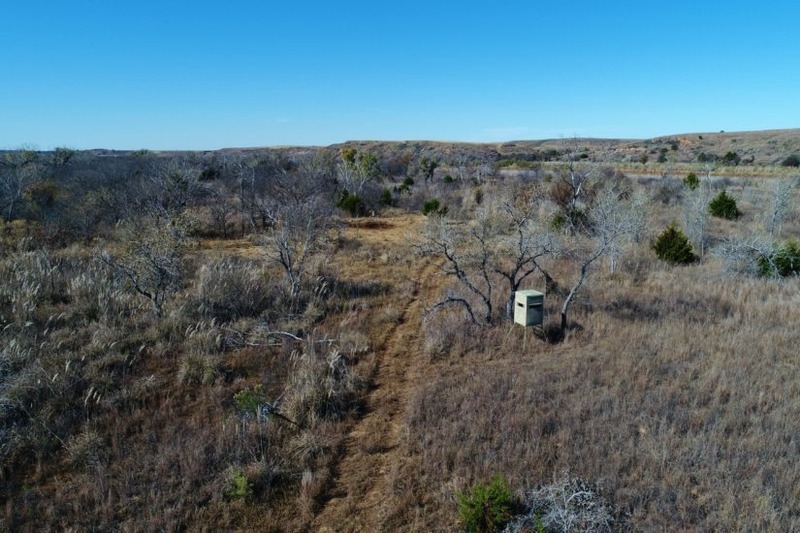 It is varied in terrain and function, from irrigable coastal pastures in the front to thick wooded hunting land along the Red River in the back. 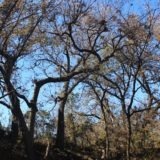 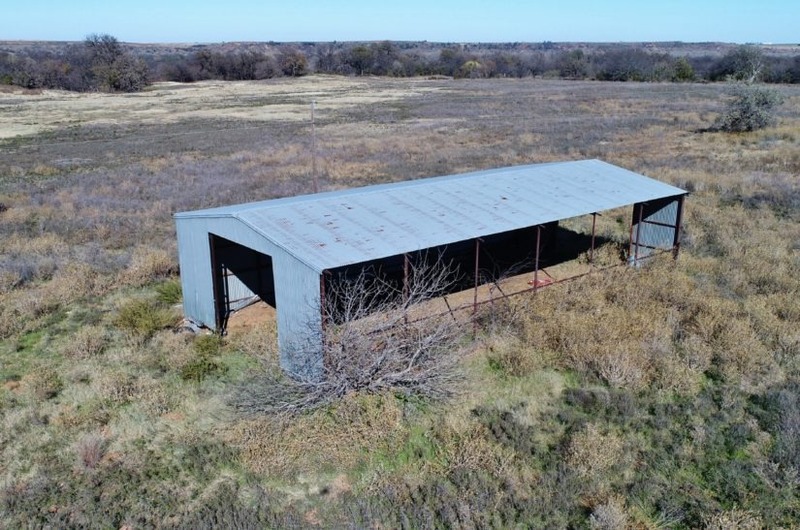 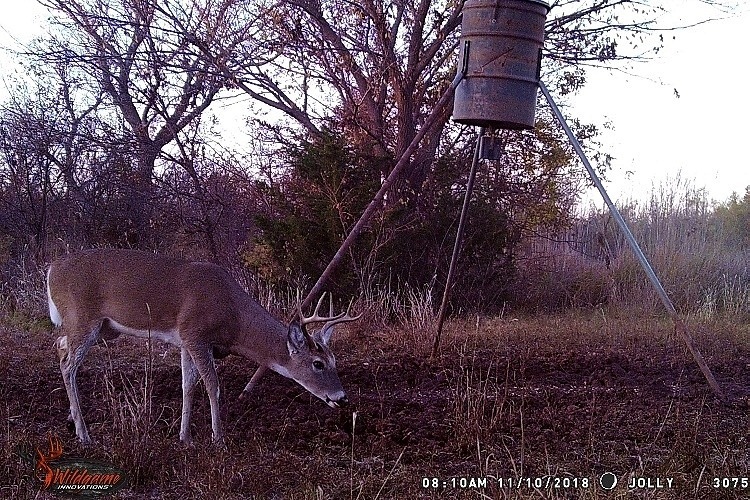 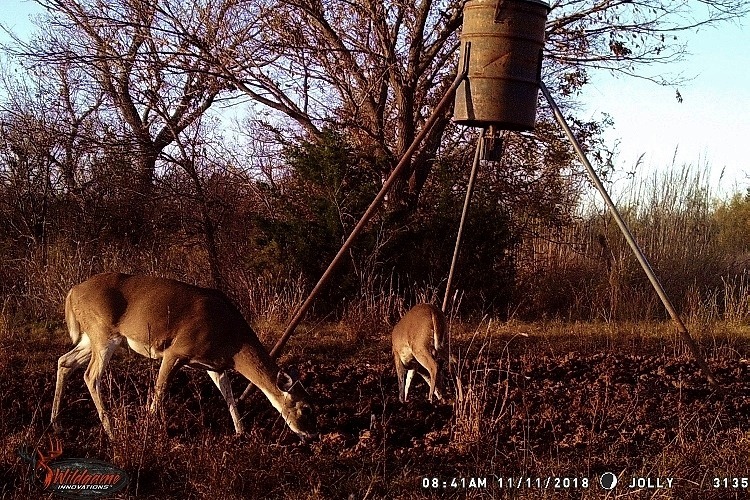 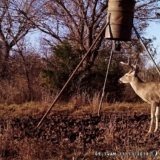 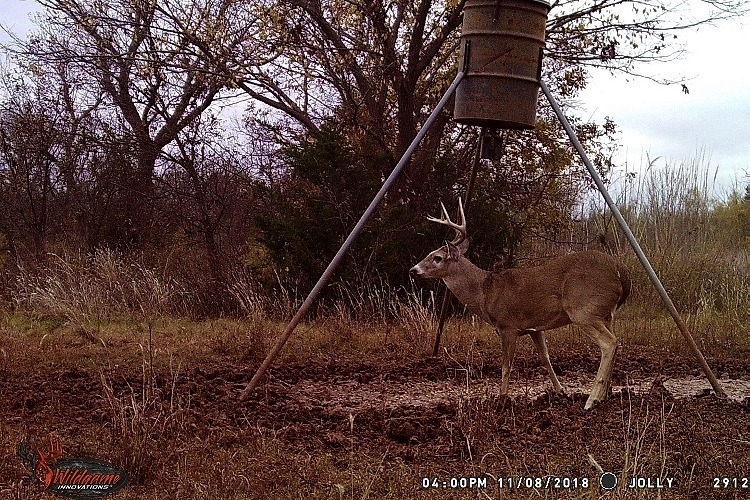 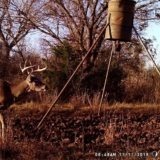 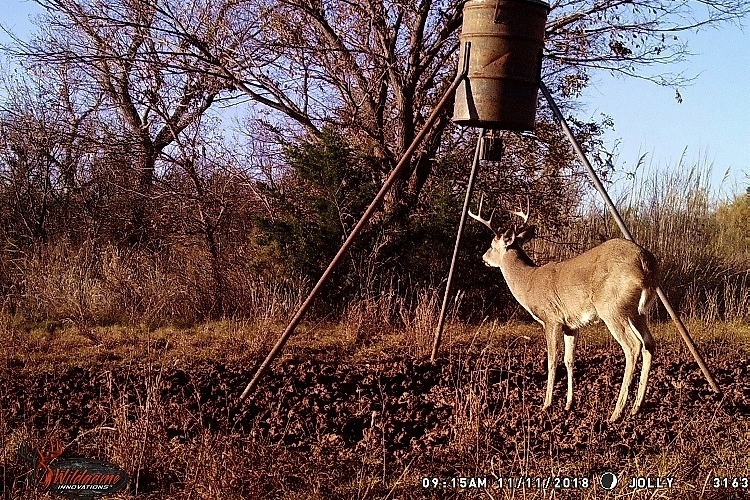 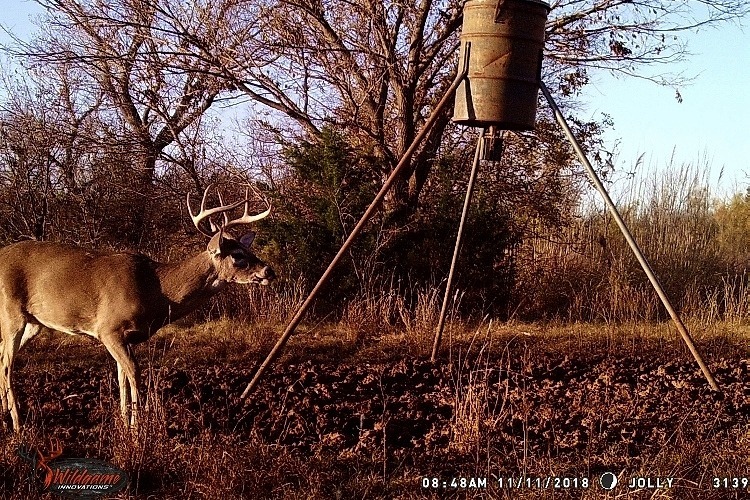 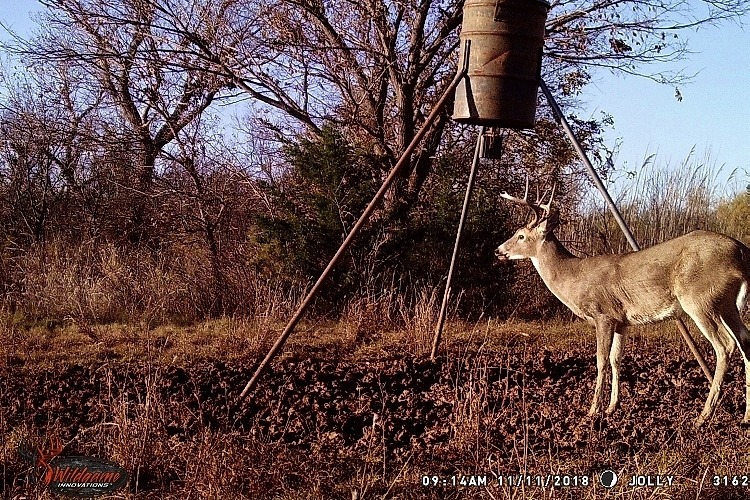 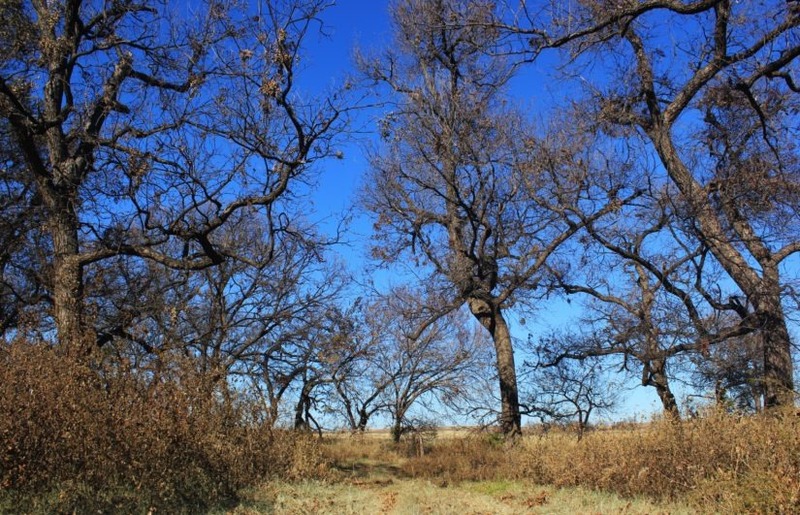 With neighbors of 600+ acres on either side, this ranch offers privacy and the ability to grow some really nice bucks. 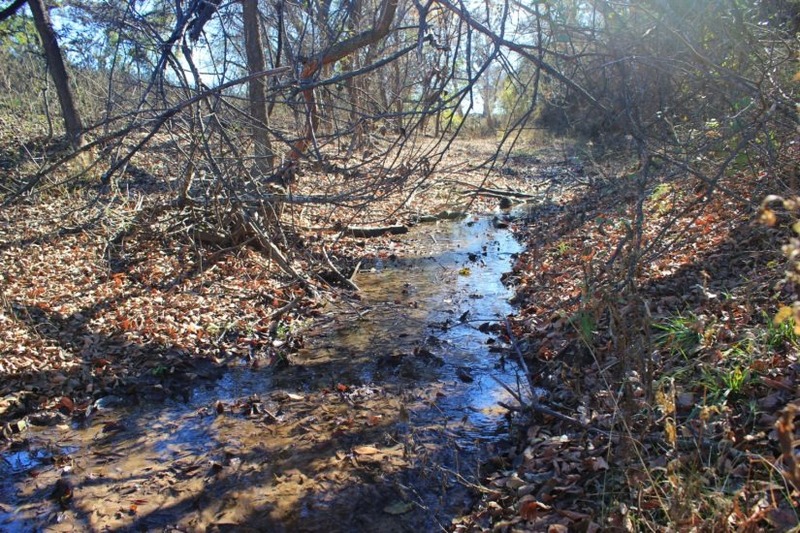 The property is located at the end of Foyce Rd. 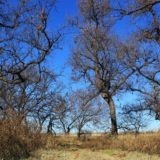 in the Charlie community of Clay County, about 20 miles north of Wichita Falls (pop. 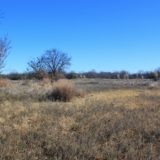 104,898). 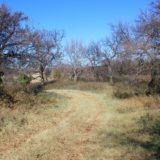 It is a little over two hour drive from either Fort Worth or Dallas. 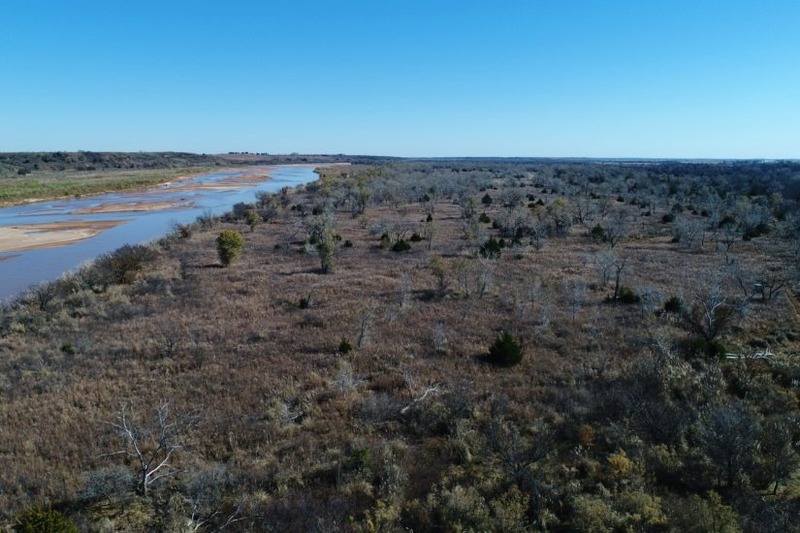 The south half of the property is primarily flat, and the north half has a gentle roll going down to the Red River. 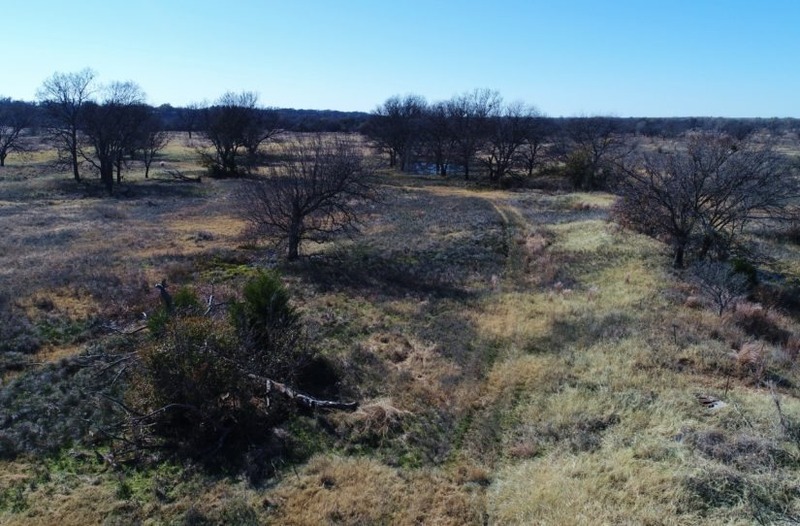 A nice building site is located in the middle of the ranch, just before the land rolls down into the river bottom. 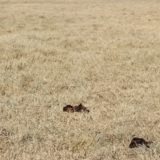 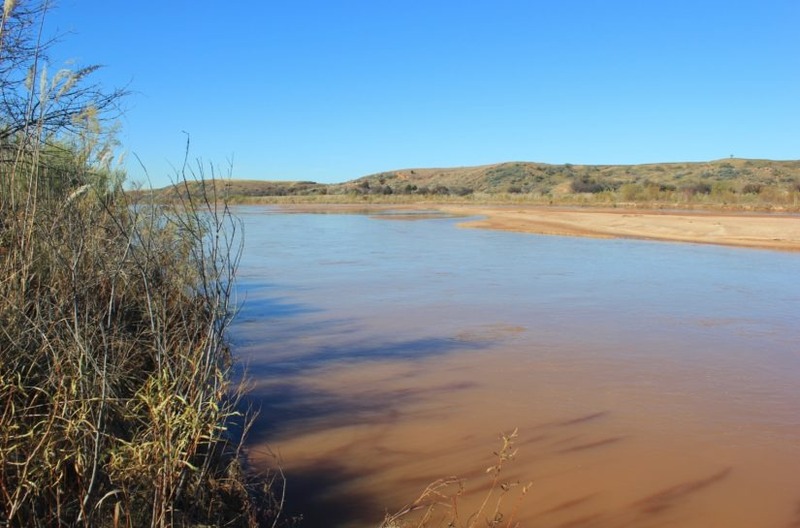 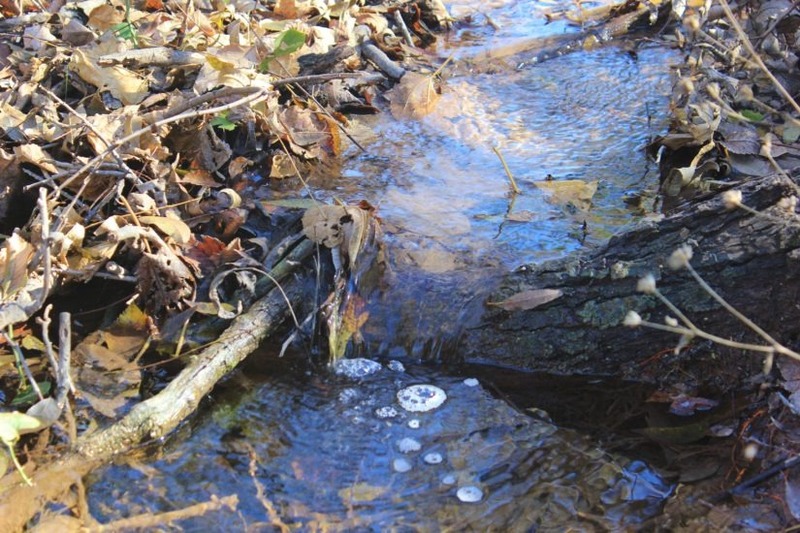 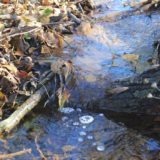 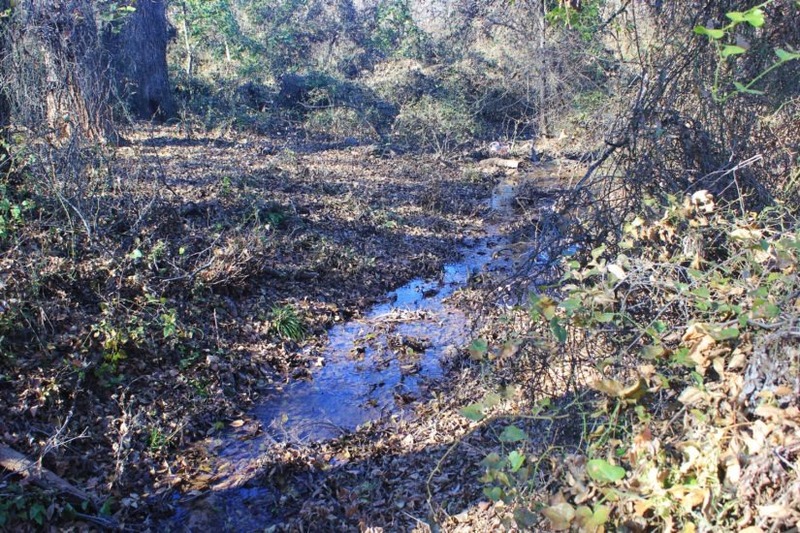 There is so much water on this ranch, it literally comes bubbling up out of the ground! 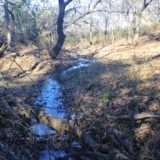 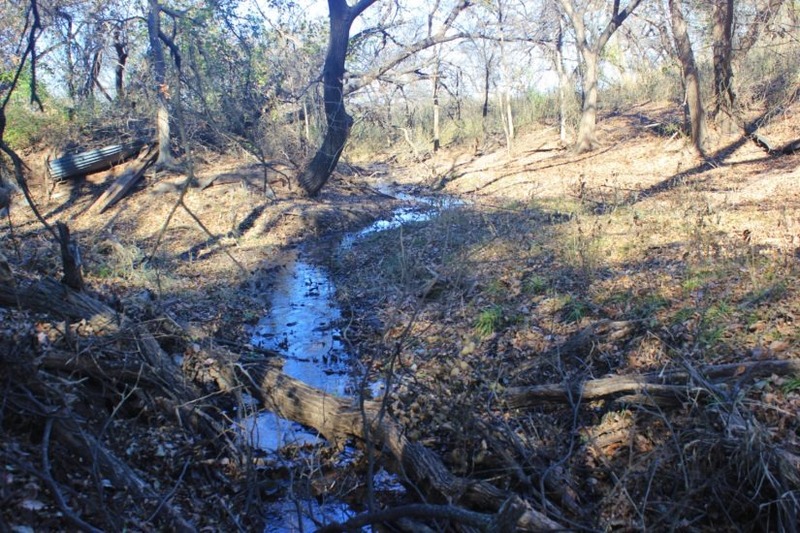 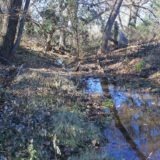 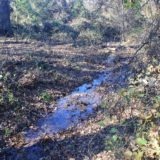 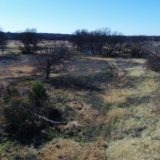 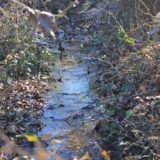 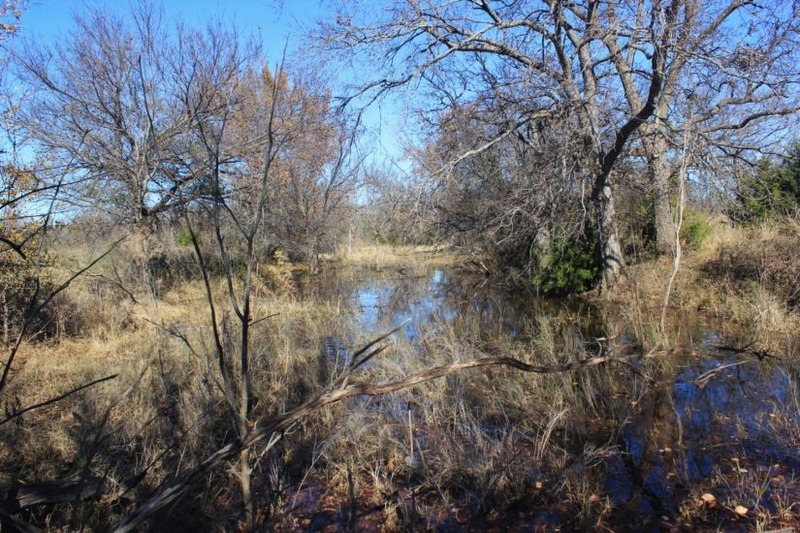 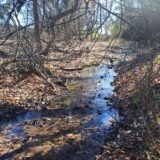 The pecan grove area listed above has a very nice springfed creek running through it. 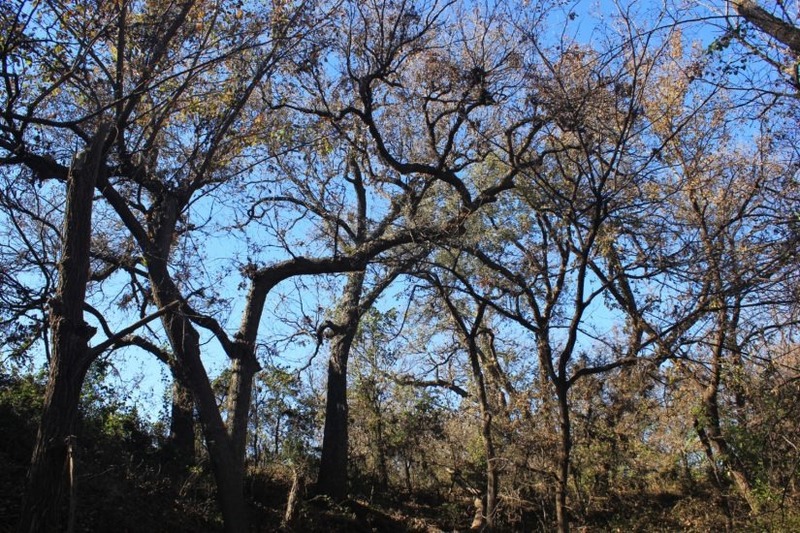 The trees in this area are over 60′ tall and could create a park-like feel if mowed and cleaned up. 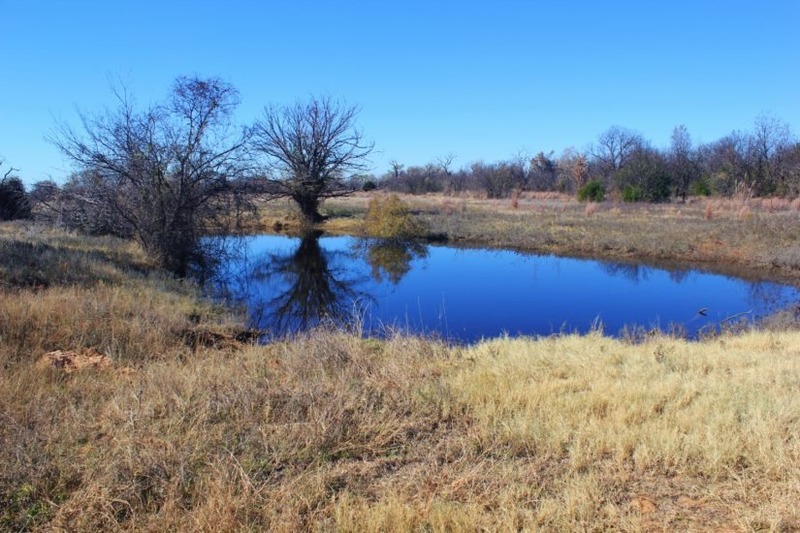 Four water tanks are on the ranch, plus several smaller ponds. 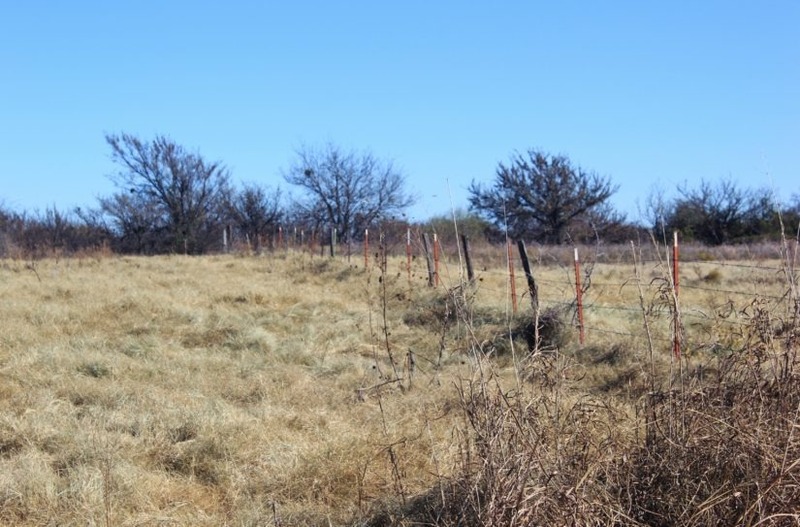 There are six older irrigation wells, and pivot stations set up to water the grass. 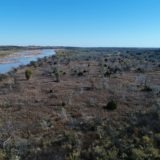 All of this, plus approximately 1/4 of a mile of frontage on the Red River! 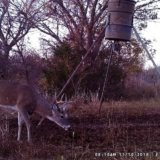 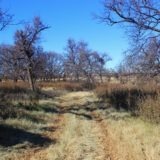 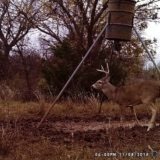 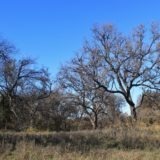 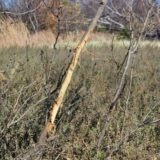 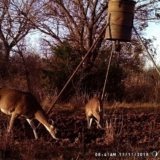 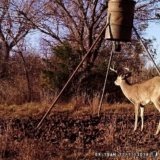 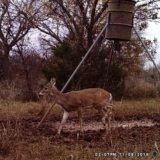 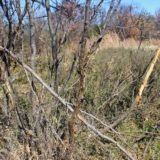 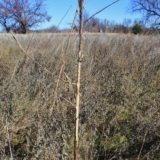 With the many pecan trees, wild plum, mesquite and other native vegetation, whitetails have plenty to eat here year around! 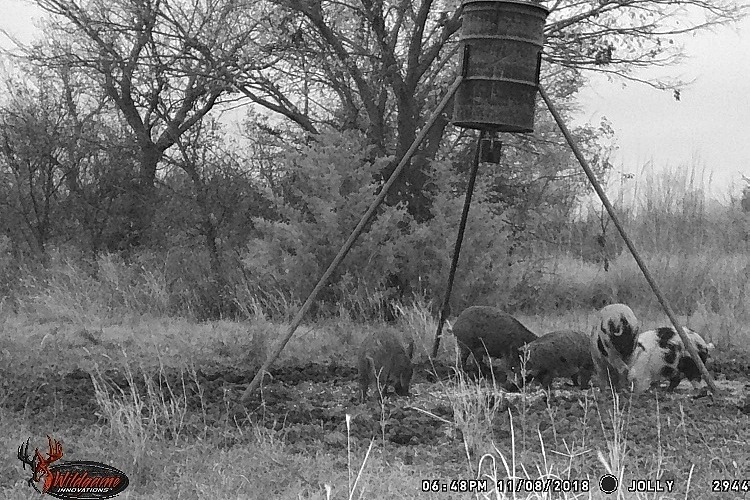 With corn feeders, you can really bring them in, with the potential for 170+ class trophies. 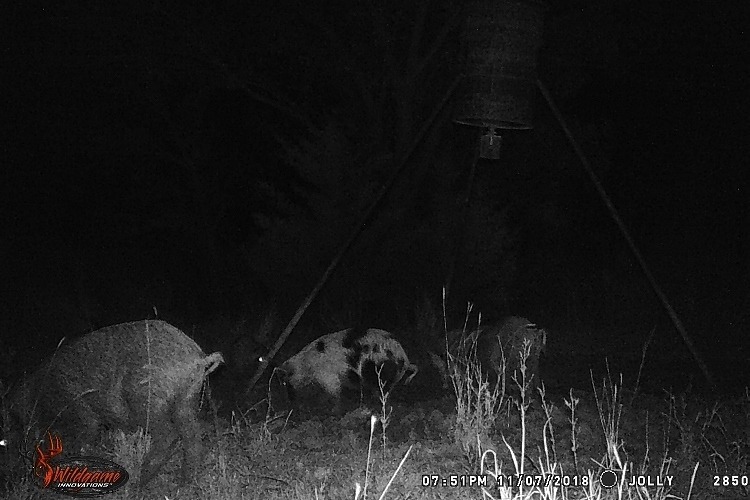 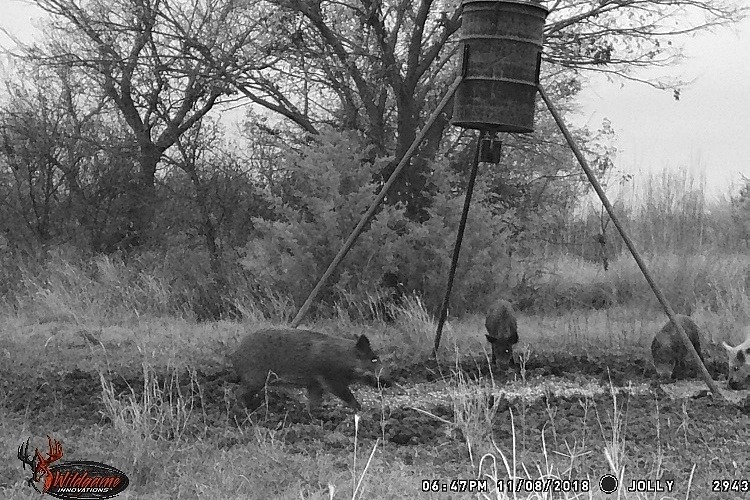 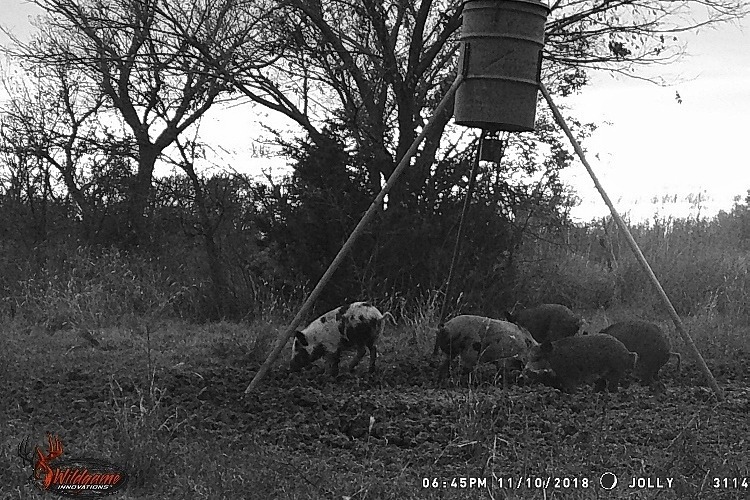 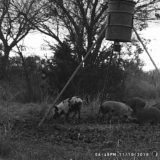 Tracks and trails are all through the pastures for both deer and feral hog. 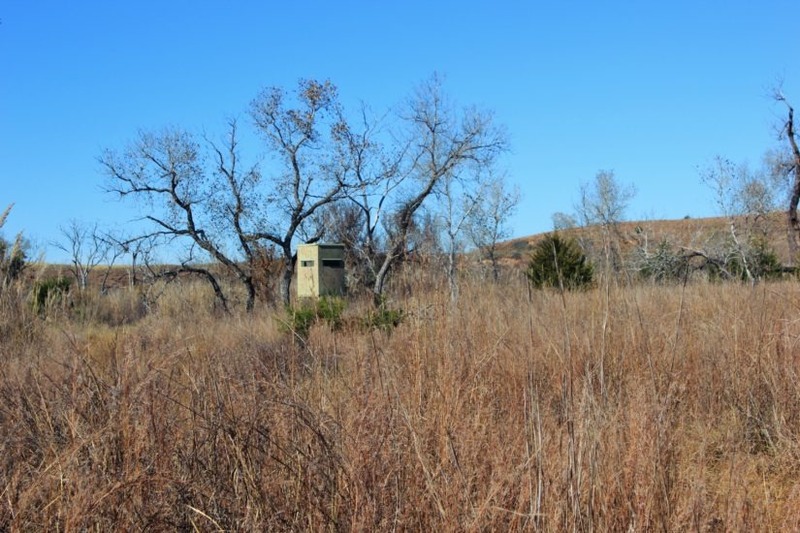 Turkey love the bottom roosting areas, and I have also seen Bobwhite quail on the place. 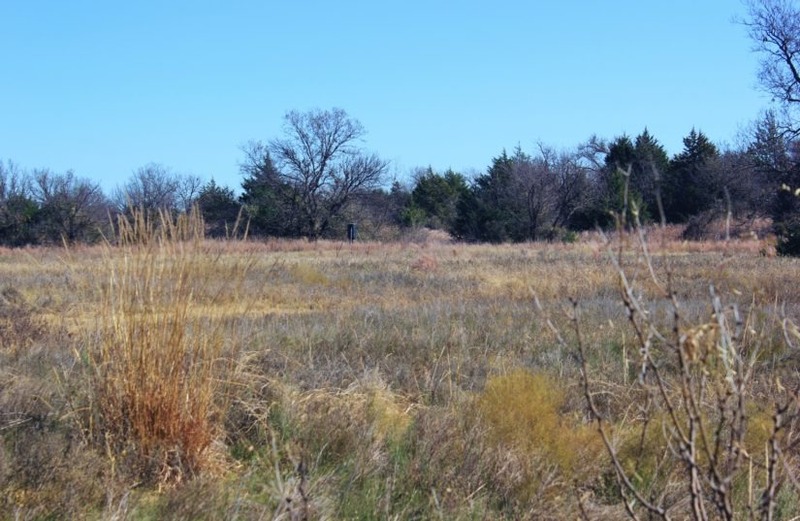 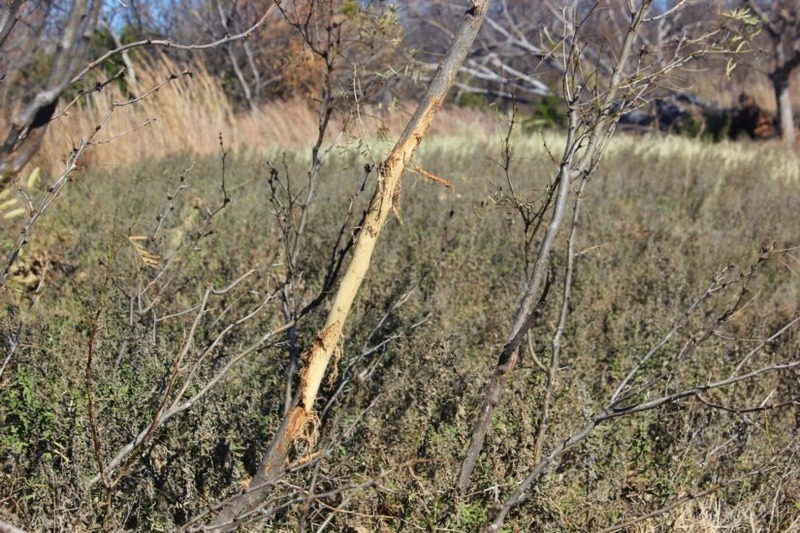 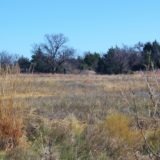 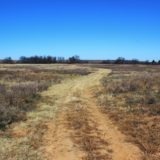 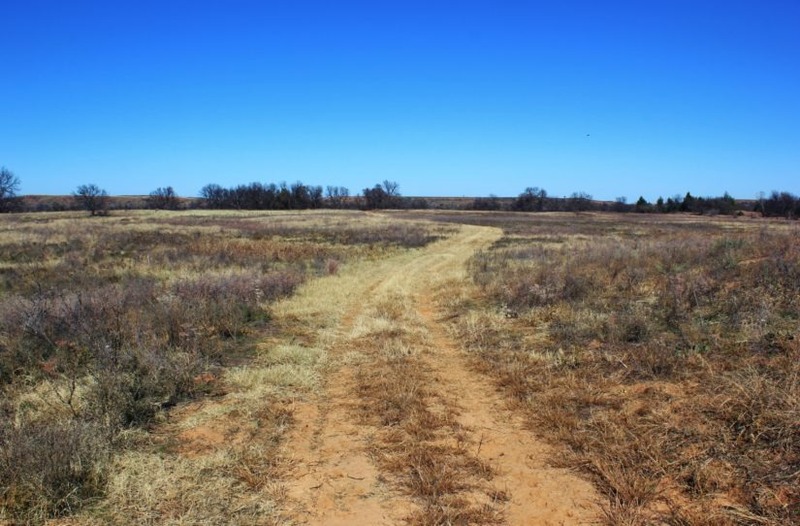 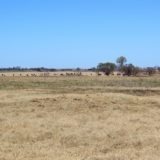 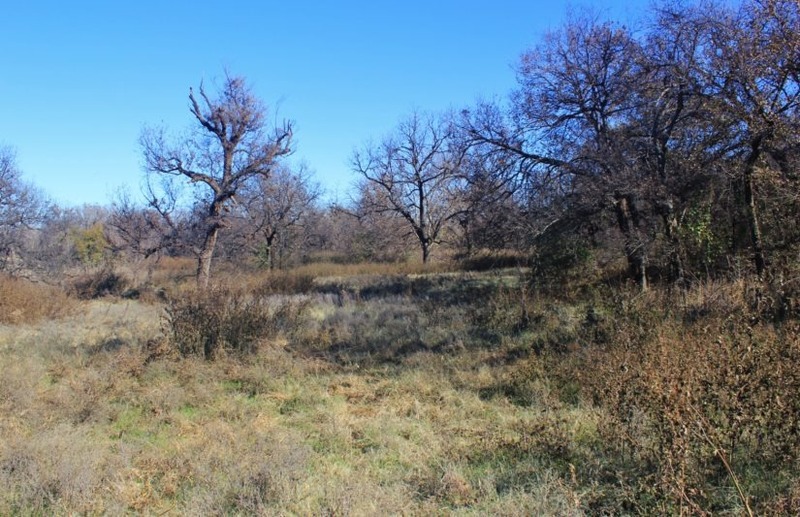 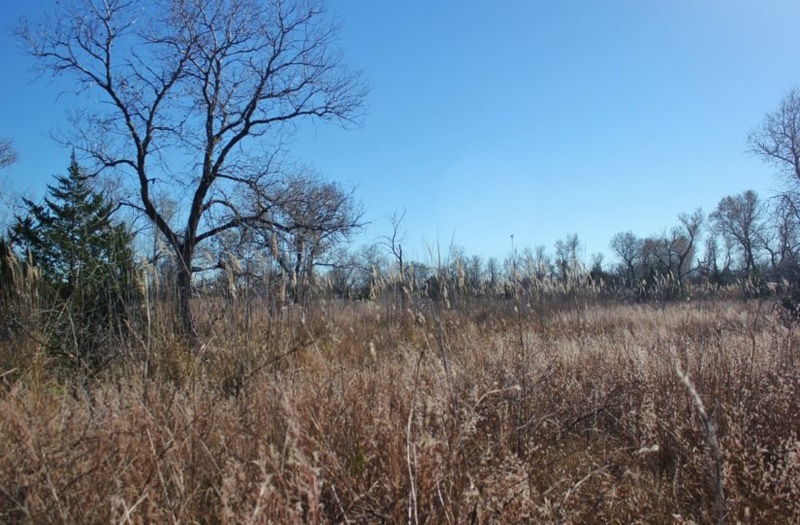 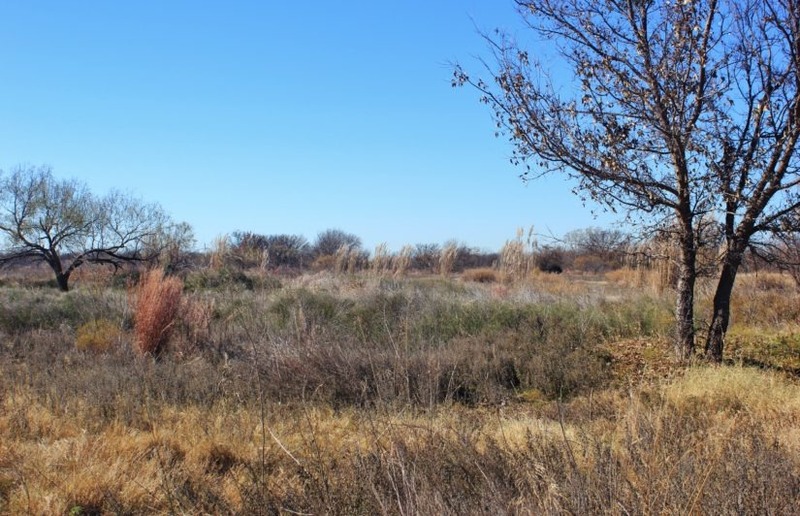 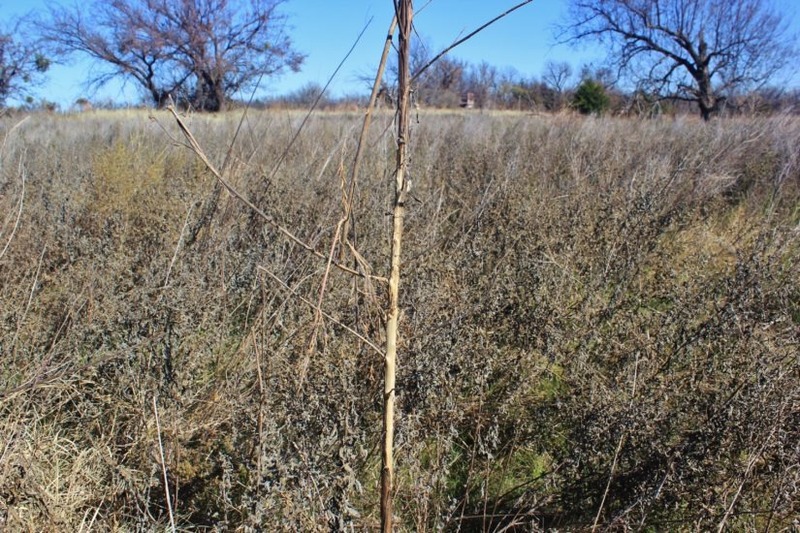 In the south grazing pasture is a 20 acre low lying area that could be developed for some awesome duck hunting. 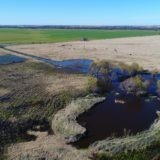 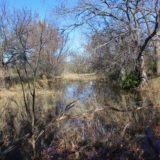 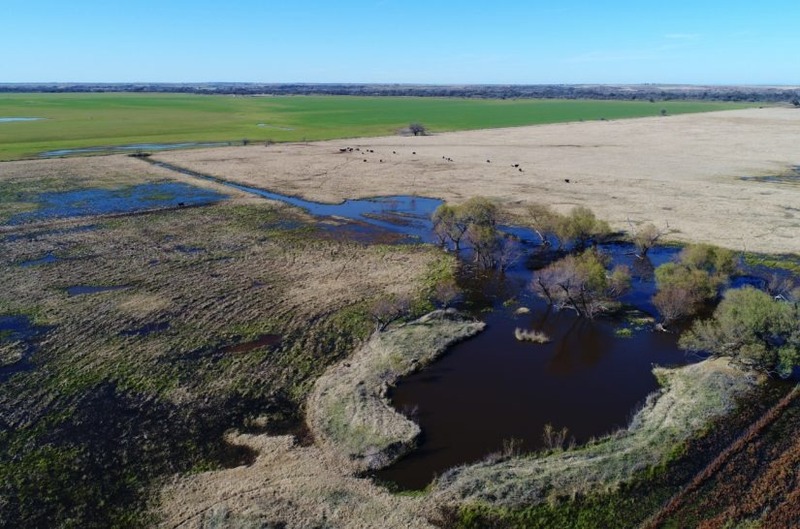 This land already floods in heavy rains; it just needs some levees built and could then be flooded with the irrigation system to create a waterfowl habitat. 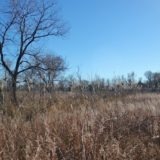 The sloughs on the north pasture near the river attract ducks too. 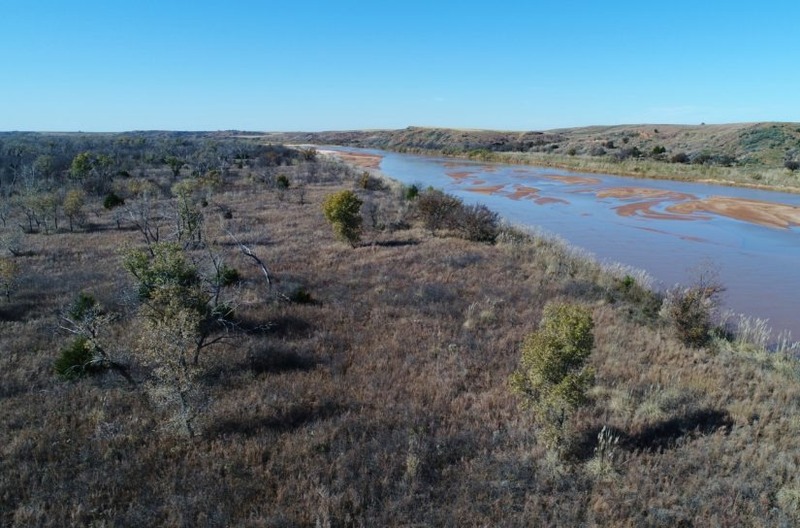 The Red River is a known flyway and sees millions of duck and geese every year in migration. 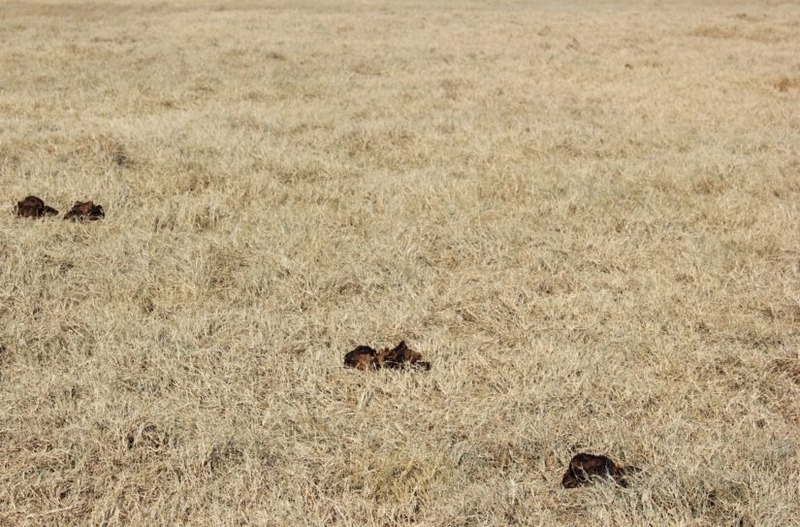 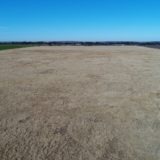 With this much grass, you could carry several hundred yearlings during the growing season, or bale it for hay to sale. 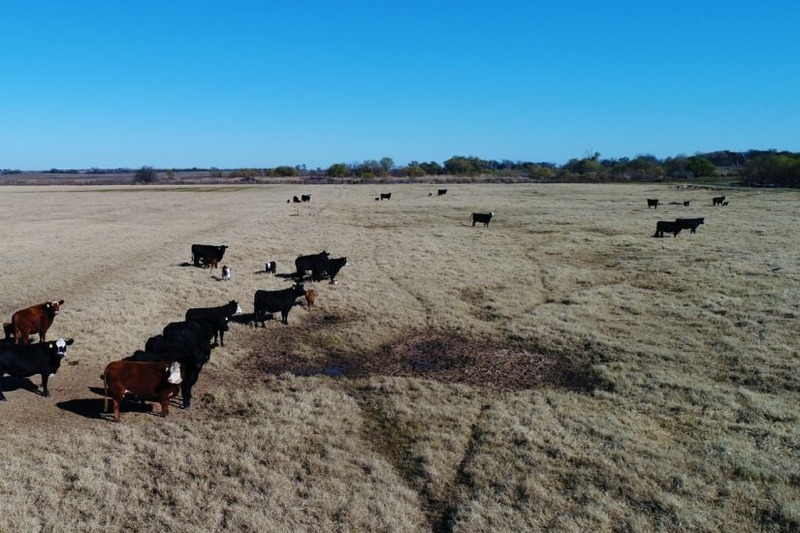 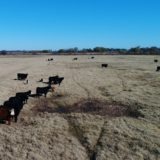 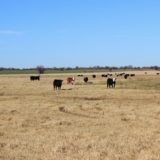 The irrigation system has not been used in several years and there is no longer a pivot on the ranch, but if set back up, it would increase the southern 110 acre pasture’s productivity tremendously. 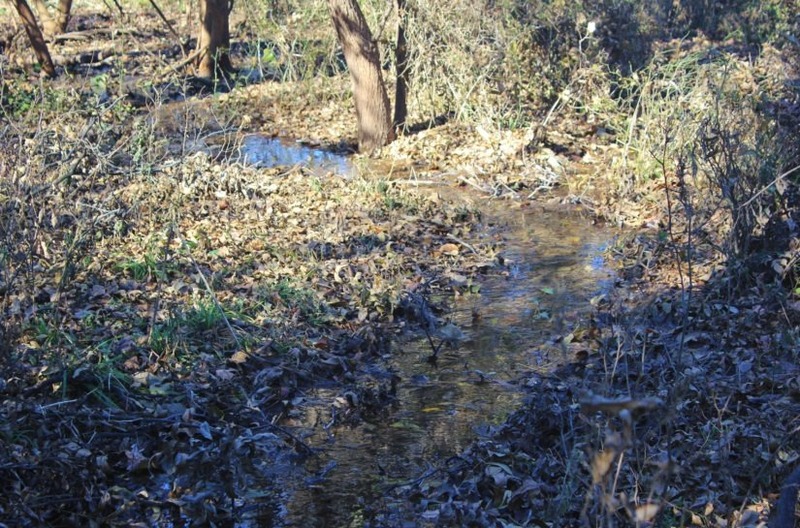 Water is in this area is considered to be very good, and the water table is within 40′. 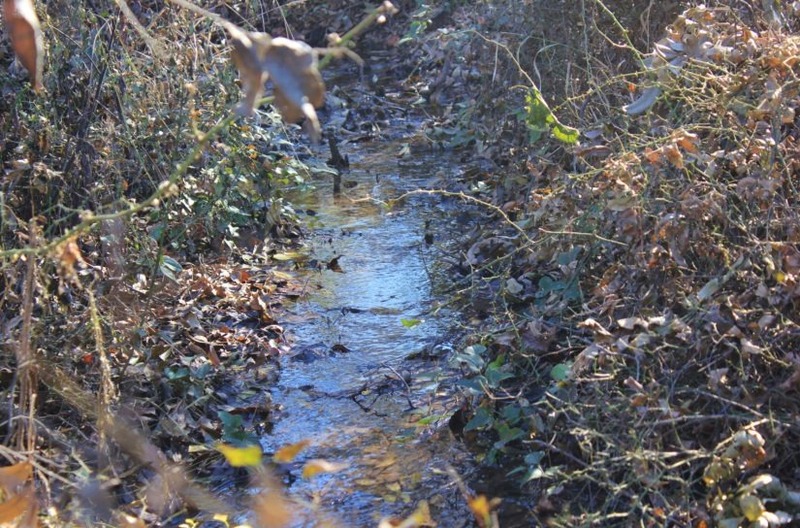 Other neighboring farms use irrigation systems to grow crops or water orchards as well. 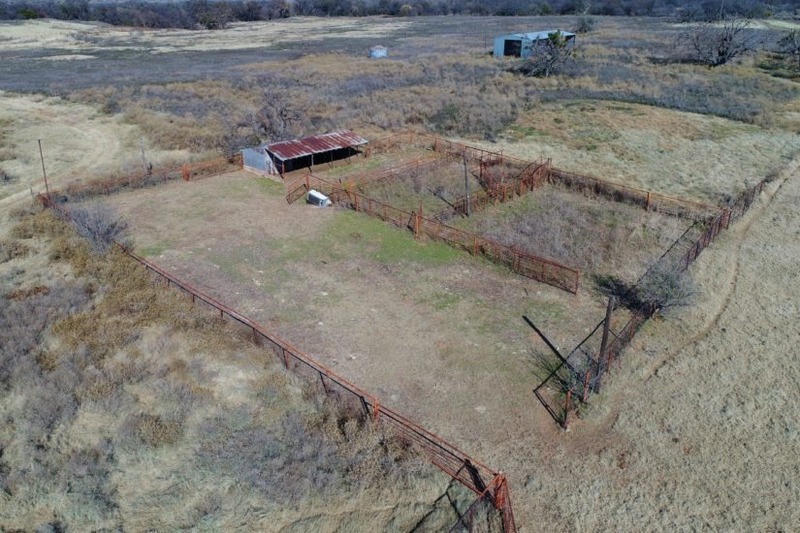 In the middle of the ranch is a set of pipe working pens, complete with working and loading chutes. 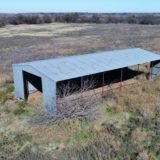 A 60′ x 30′ metal hay barn is here too. 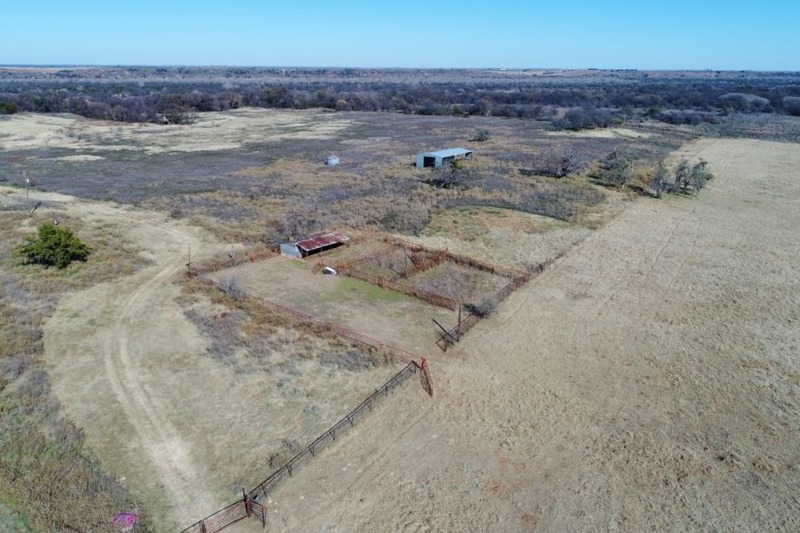 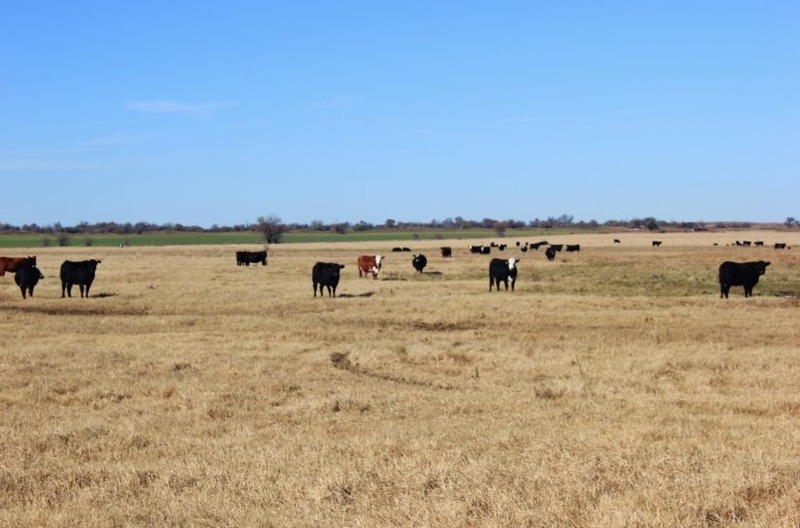 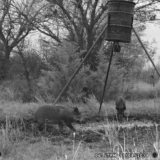 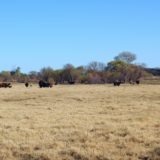 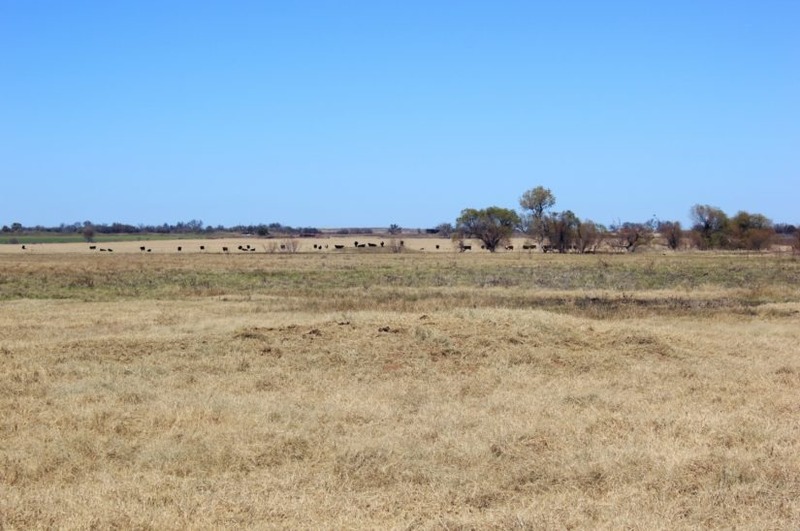 The whole property, except for the 37 acres of river bottom listed above, has a five-line perimeter fence in good condition; the cattle pens and trap are fenced off separately, which creates two grazing pastures on the property – 110 acres on the south side and 122 acres on the north. 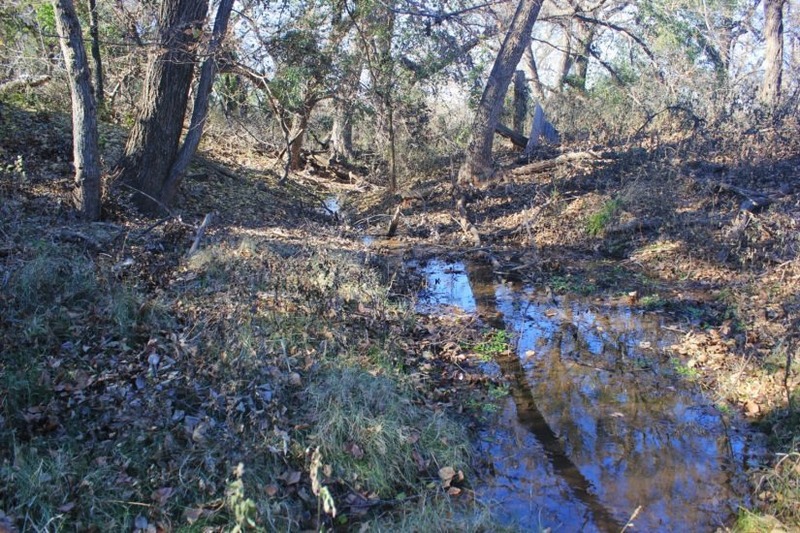 Water for livestock is provided by the ponds, plus the natural springs and creek. 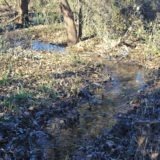 You could also pump water from the irrigation wells into metal stock tanks or dirt tanks. 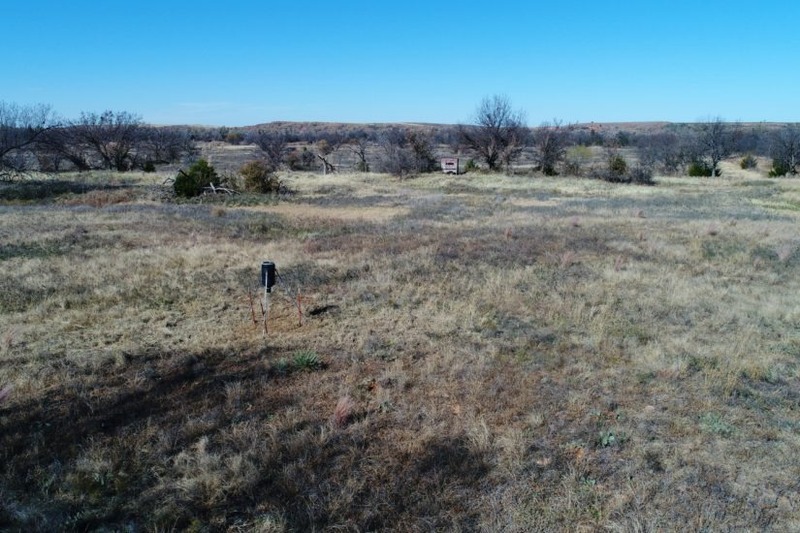 All the wells have underground electric lines ran to them to power the pumps (when installed). 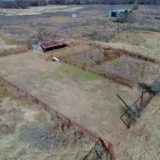 The owner does not know the condition of any of the casing or condition of the wells and is selling the property “as is”. 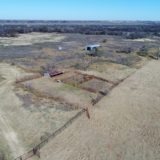 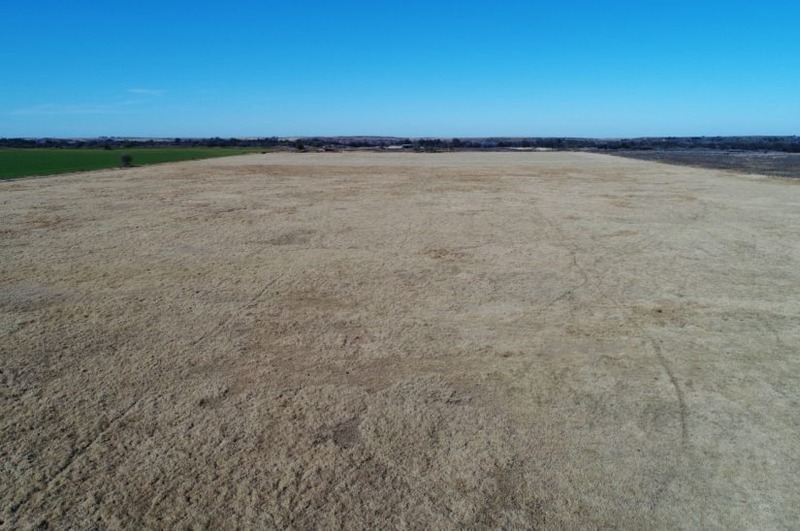 If you did not want to manage the farm aspects of the property yourself, there is a tenant in place who would continue leasing the place for $40/acre, or approximately $9,000/year. 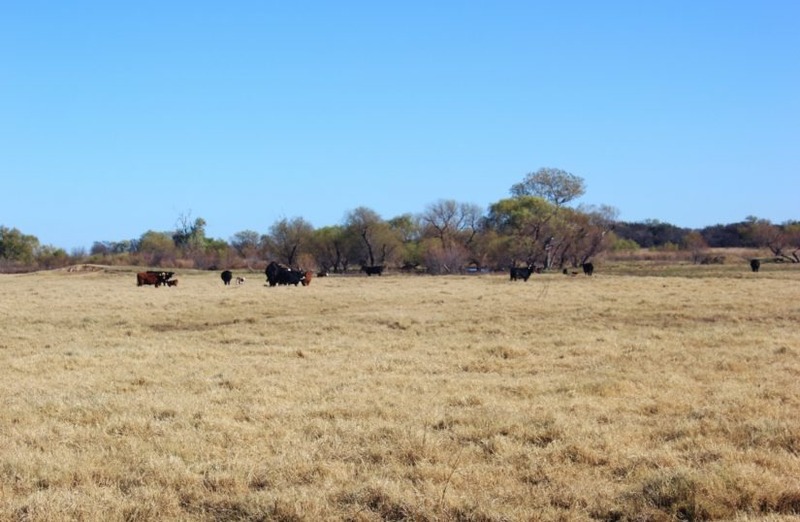 The land has a current agricultural tax exemption in place. 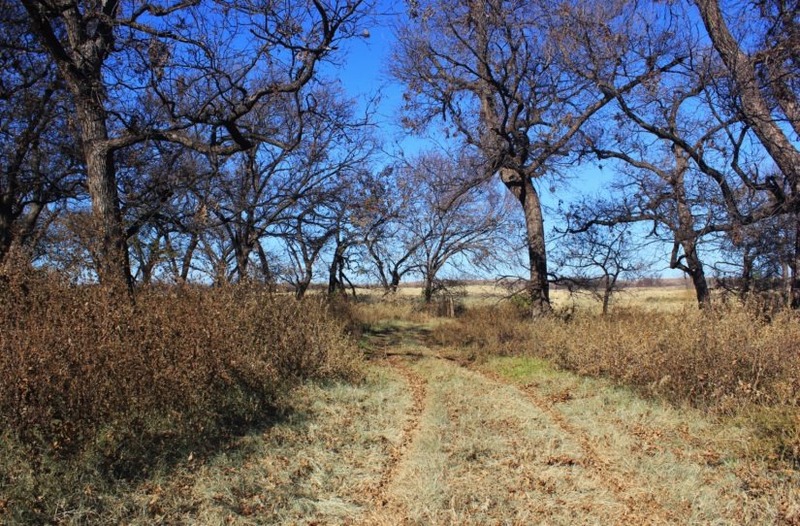 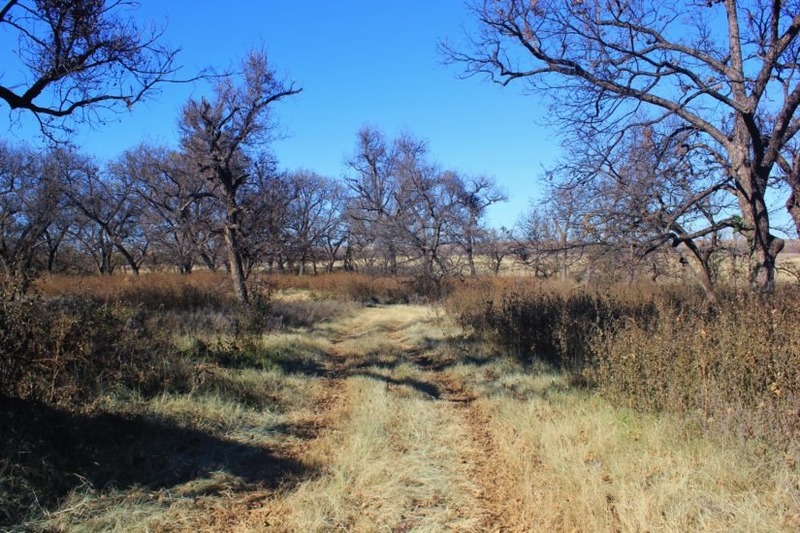 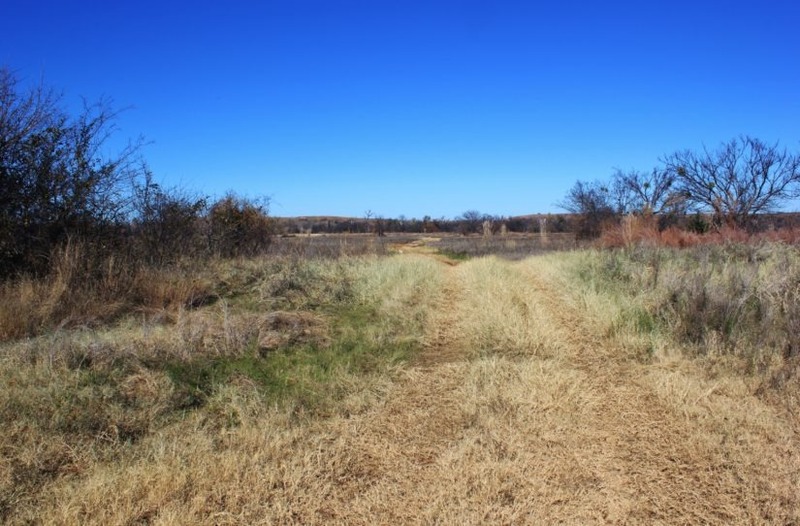 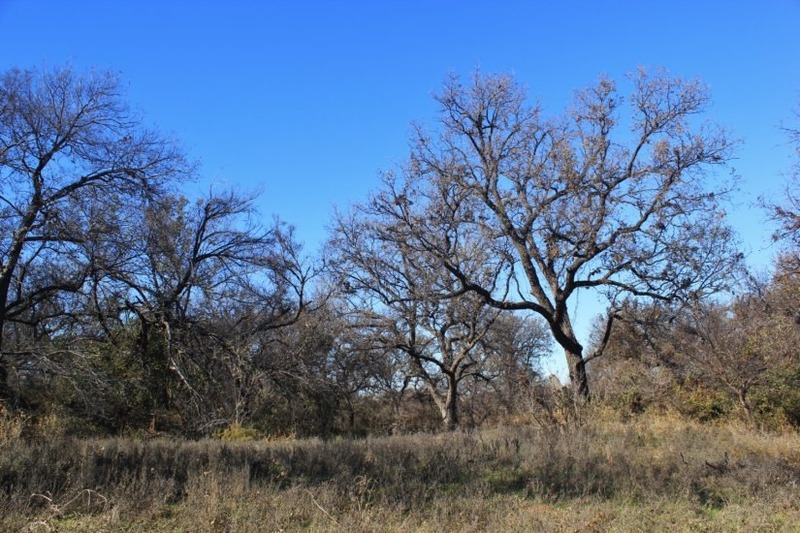 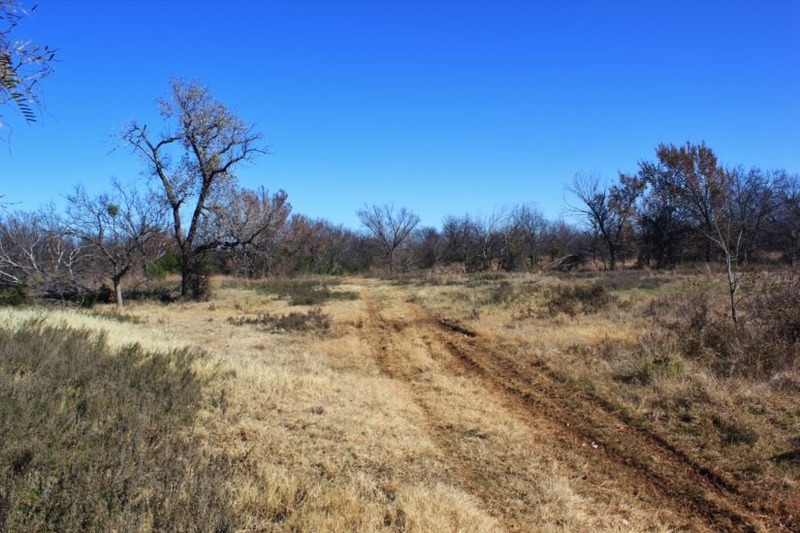 This ranch has been priced to sell at $2,050/acre, or $592,060 total. 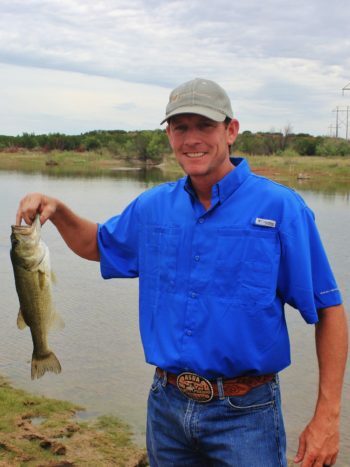 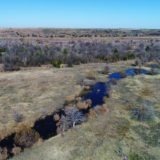 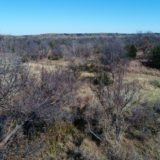 For more information or to set up a private showing, call agent Beau Byars at cell phone (940) 224-3183. 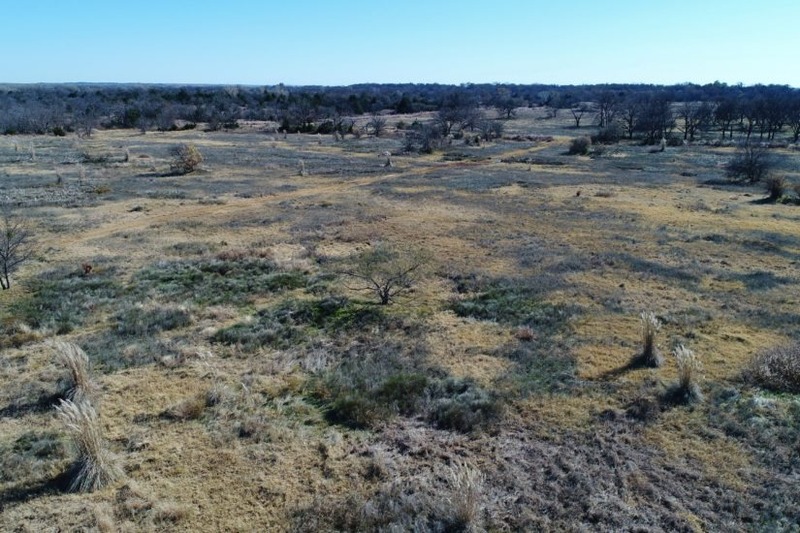 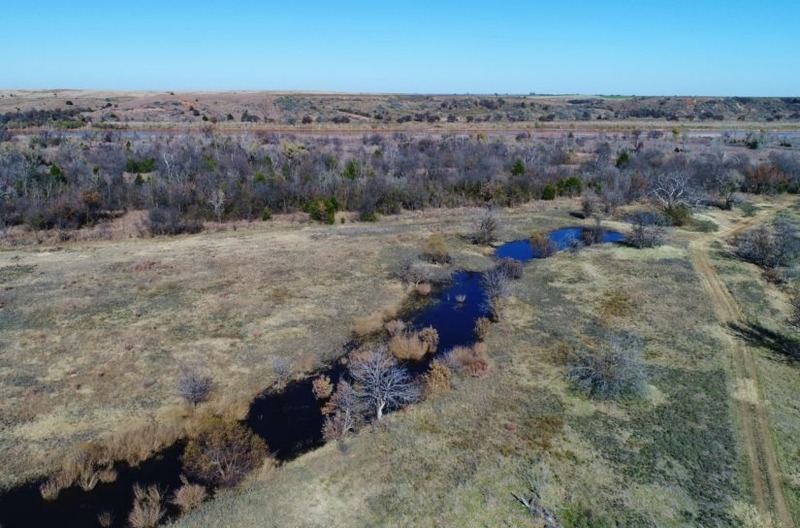 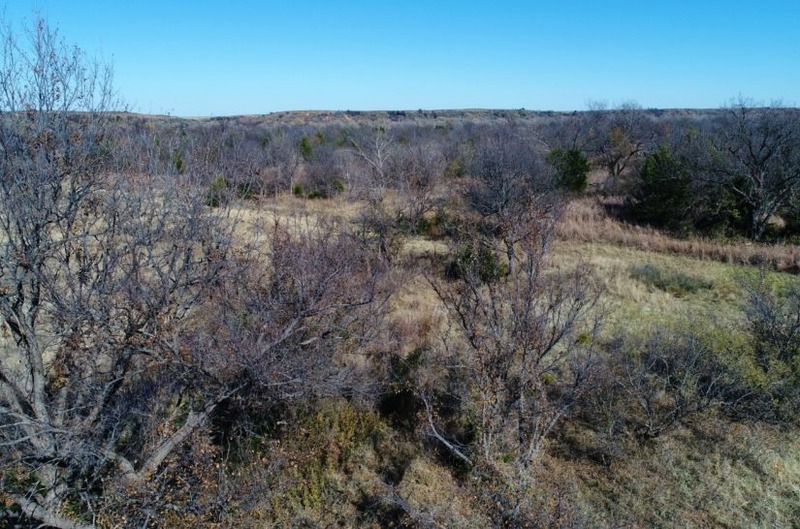 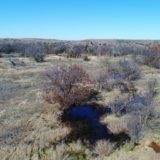 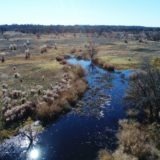 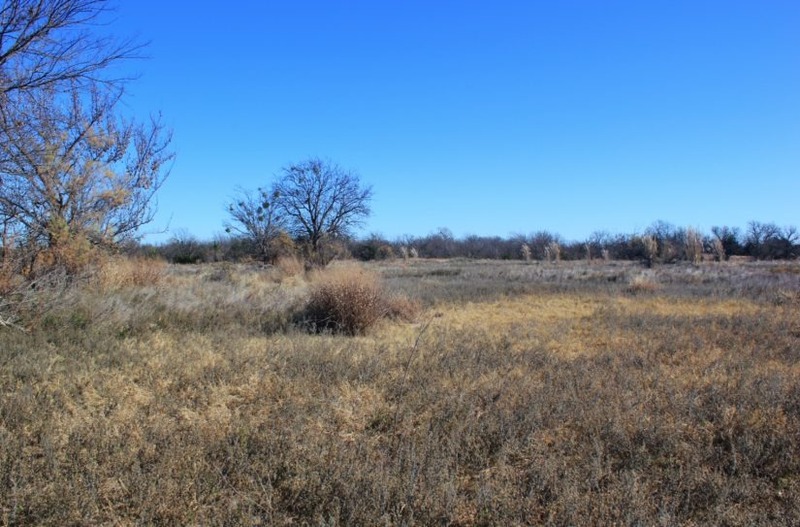 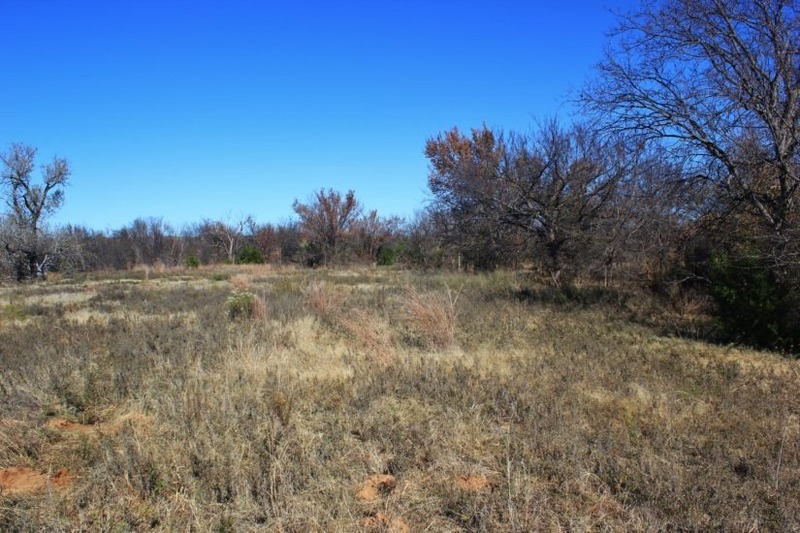 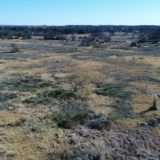 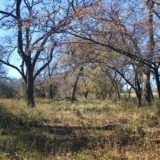 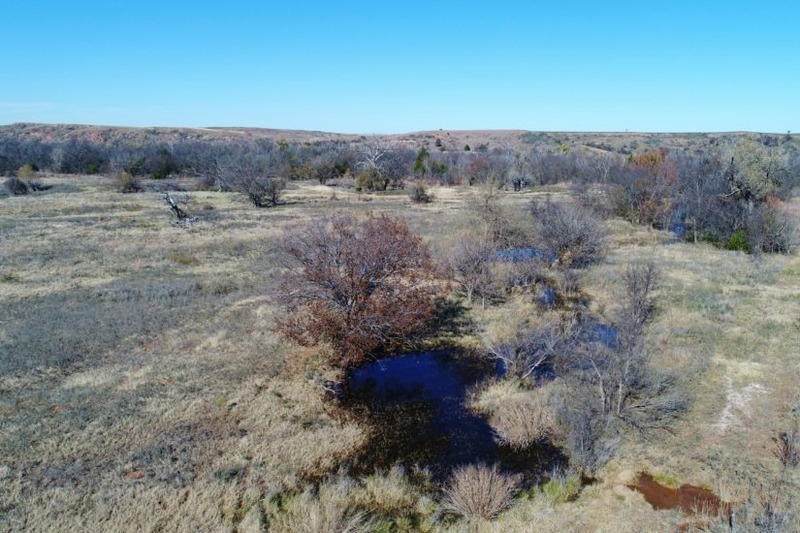 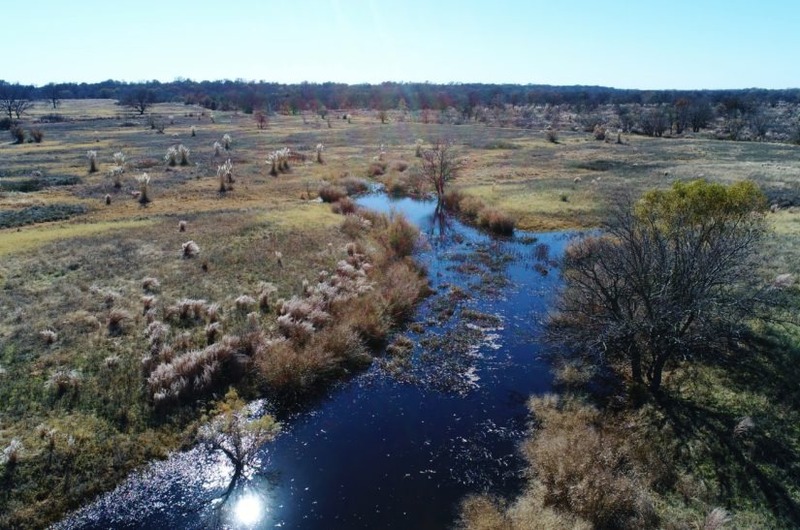 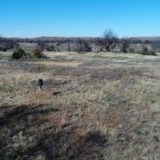 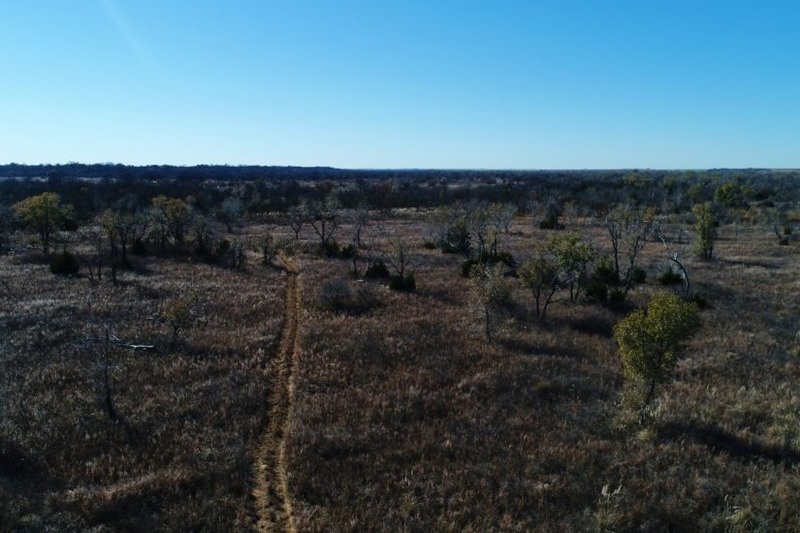 This land consists of 160 acres of warranty deeded land and 128.81 acres of quit claim deeded land, 92.82 acres of which has been under a fence for decades. 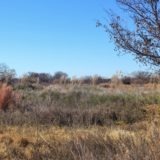 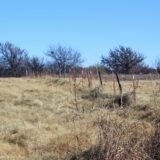 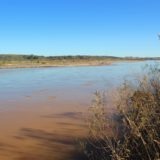 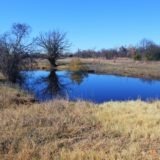 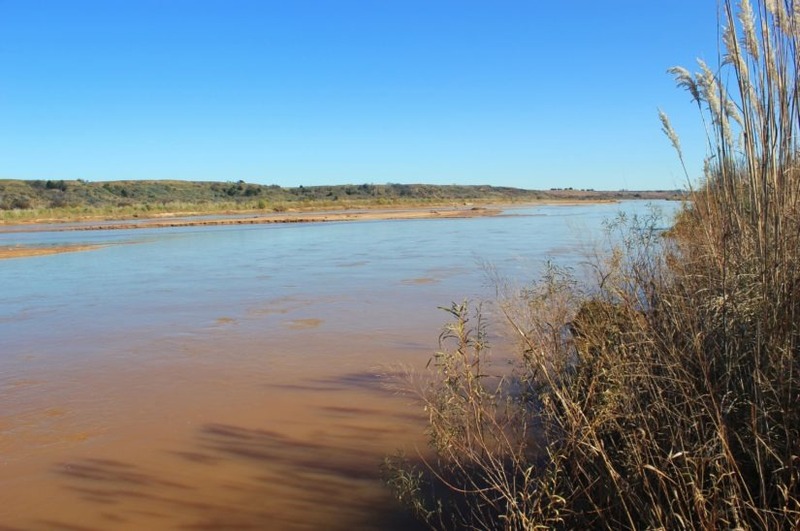 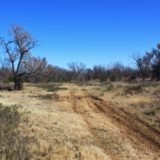 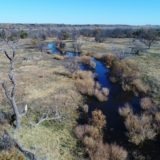 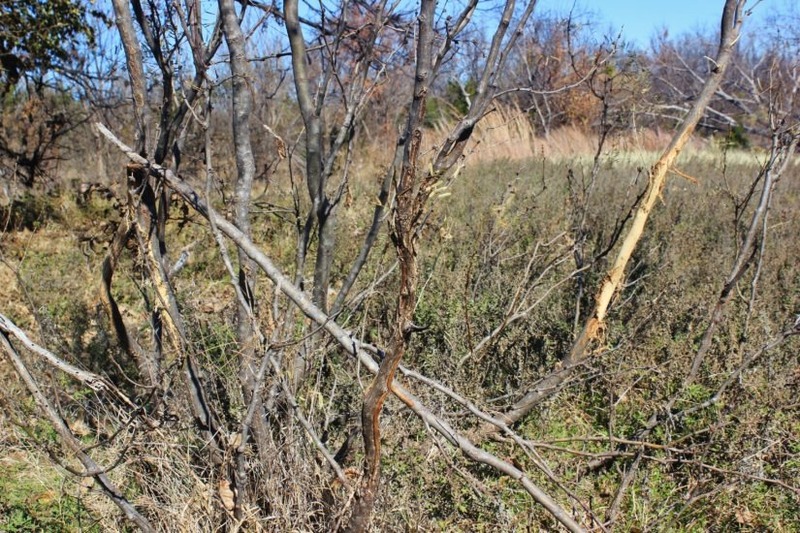 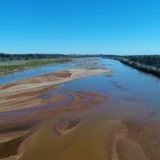 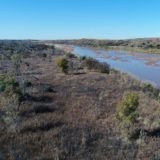 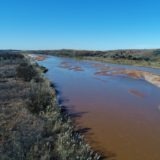 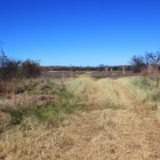 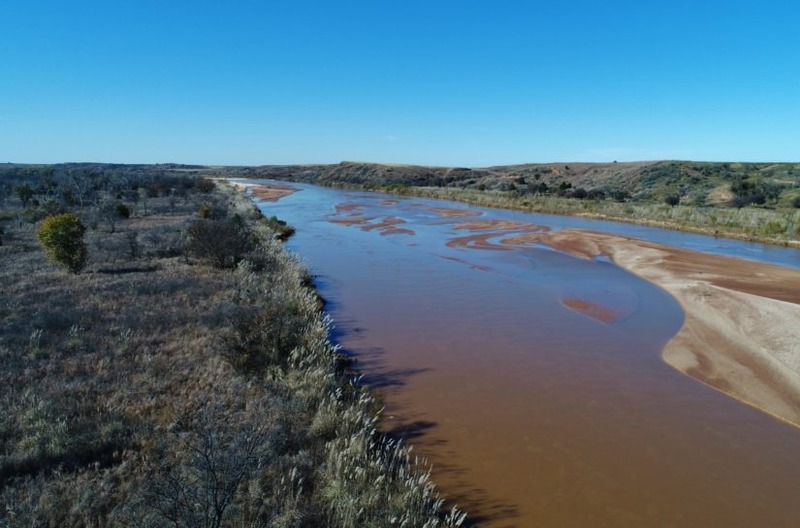 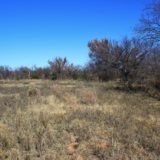 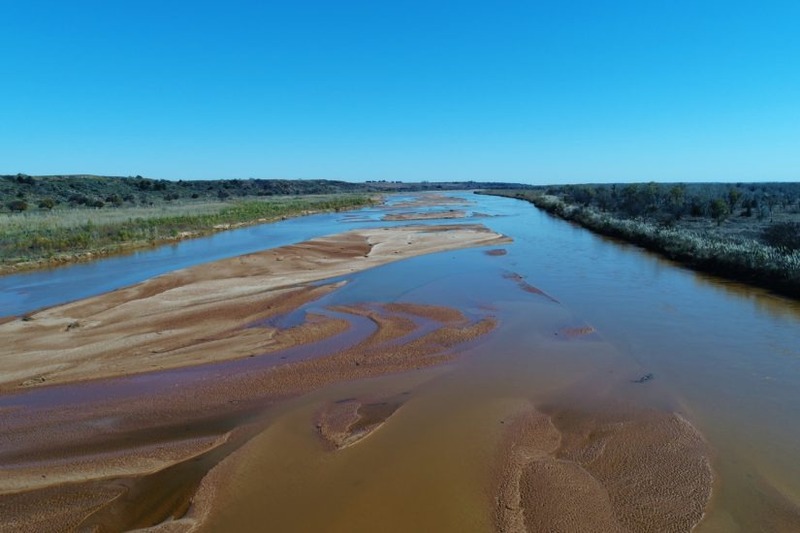 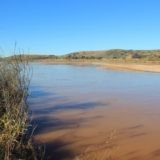 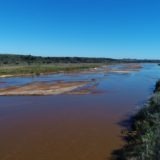 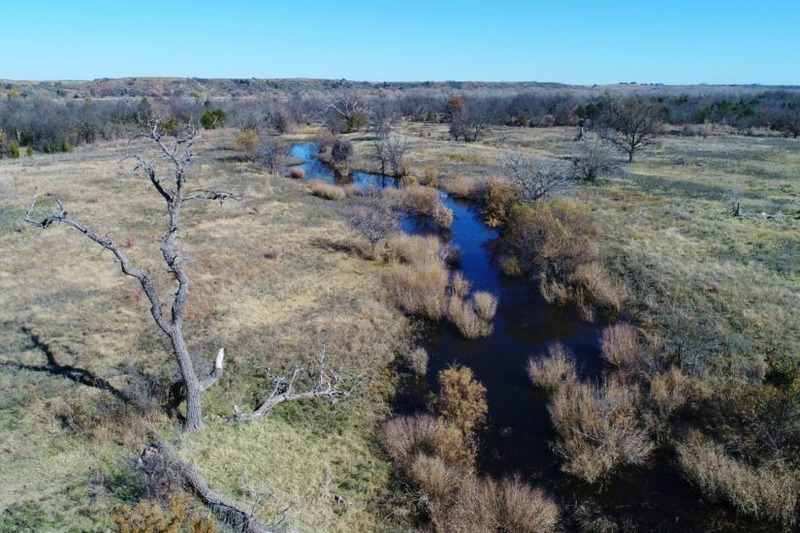 The current owner filed title to the acreeded land in Feb. 2014, but title “going to the bank of the Red River” was of record decades before this. 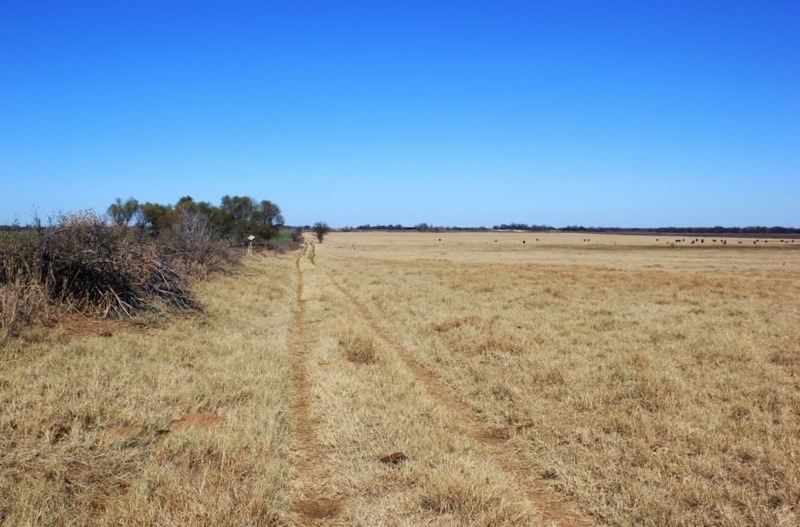 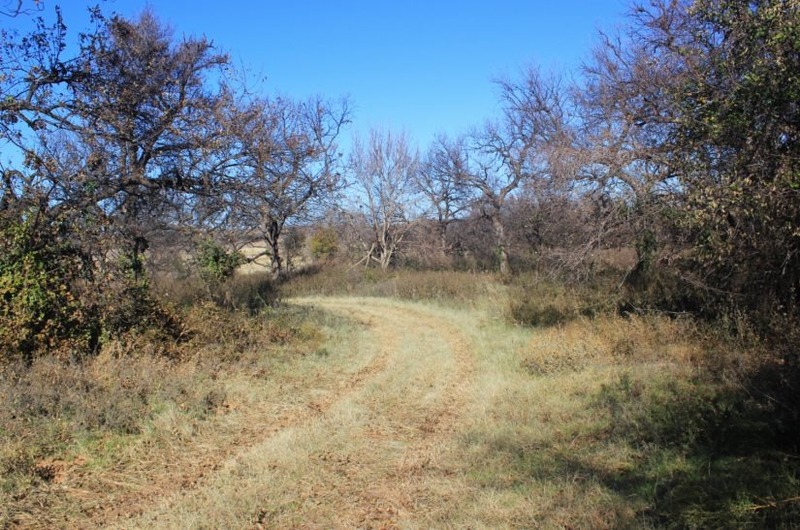 A survey plat from Feb. 2014 will be conveyed to Buyer with this sale, showing clear boundaries to the whole ranch.